When the name SpaceX is brought up, one thing immediately comes to mind: space exploration. It’s fitting since SpaceX or Space Exploration Technologies is a company that designs, builds, and launches specialized rockets and spacecraft. The U.S. government also employs SpaceX’s services. The company is often responsible for launching satellites in space for military operations. 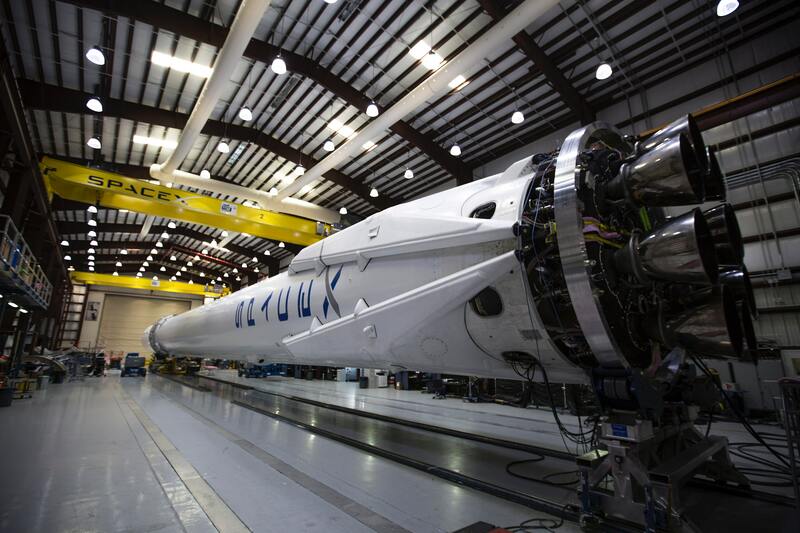 Just last December, SpaceX launched the U.S. Air Force’s newest GPS III satellite in the company’s Falcon 9 rocket. The GPS or Global Positioning System is operated by the U.S. Air Force and is the government’s own global navigation satellite (GNSS). It was built during the cold war but has been used for more commercial purposes since the mid-2000s. The particular GPS satellite that SpaceX launched from Cape Canaveral Air Force Station in Florida on December 23, nicknamed Vespucci, was designed to provide three times better accuracy than the current network of GPS satellites orbiting the Earth. What’s more, SpaceX said that Vespucci is eight times better at anti-jamming. This is an important improvement after Norway accused Russia of disrupting GPS signals during a NATO exercise during fall of last year. The Vespucci is the first of the 32 planned satellites that will replace the constellation of 31 GPS satellites that the government operates. The GPS technology is known more for its civilian applications, such as navigation, clock synchronizations, and land surveying. The U.S. Air Force estimates that about 4 billion worldwide use the system. While it’s true that many civilians enjoy the benefits of this technology, its military purposes are even more vital. The navigation capabilities provided by the GPS satellites are applied to various military missions. Instead of relying on conventional compasses, the U.S. military uses GPS to determine accurate positions of their units, especially in enemy territories during nighttime. Military operations, such as the search and rescue of injured soldiers and the tracking of convoys’ movements, also use satellite navigation to considerably reduce the response time. Overall, American military forces utilize GPS technology for ground, aviation, and maritime navigation. The Vespucci was declared almost two-and-a-half years behind schedule. The postponement of the launch was due to certain problems, such as the delay in the delivery of their key components and retesting other components. Retesting is vital to meet the Department of Defense’s cybersecurity standards. Unfortunately, the Pentagon said that the satellites’ ground control system, called OCX, performed poorly in the beginning. The manufacturers have since overcome cybersecurity problems, so they were able to launch in December and is scheduled to launch again this year. “By this time next year, we expect to also have a second GPS III on orbit and users should be receiving signals from this first satellite,” said Johnathon Caldwell, the vice president of Lockheed Martin, the company contracted to build the satellites. To improve the accuracy of GPS satellites, it’s important to conduct GPS/INS simulations. CAST is a trusted provider of GNSS/GPS equipment. Our simulators are accurate testing tools that have supported the government and the military as well as several commercial agencies. For world-class simulation systems that aid GNSS in land surveying and have proven their accuracy for over 35 years, contact CAST.